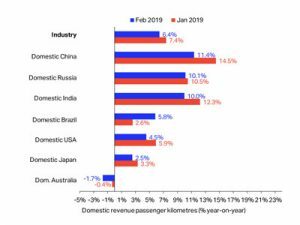 The domestic market of India continues to perform strongly, again registering double digit growth over the year to February, according to International Air Transport Association (IATA). China and Russia topped the growth chart with 11.4 per cent and 10.1 per cent year-on-year growth rates respectively. This marks the 54th consecutive month of double-digit domestic RPK growth for India. A generally solid economic backdrop, combined with continued growth in the number of airport pairs have all contributed to this sustained growth performance. 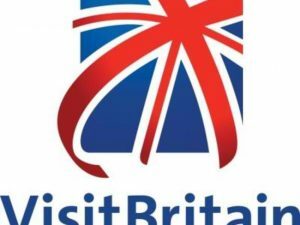 The latest official figures from VisitBritain record 562,000 visits from India to the UK in 2017, up 35 per cent on the previous year, with Indian travellers spending a record £454 million in the UK last year, an increase of 5 per cent on 2016. Tricia Warwick, Director – Asia Pacific, Middle East and Africa, VisitBritain, said “India is a very important market for VisitBritain and it is fantastic that more people than ever are travelling and enjoying experiences that you can only have in Britain, from the exciting and contemporary culture to innovations in food and drink, from exploring the stunning countryside to the vibrancy of its cool cities.” “Britain is offering great value for visitors from India and we are working hard with partners including tour operators and airlines to make it easier to book and explore more of the country, inspiring more visitors to travel right now,” she said. VisitBritain is also inspiring visitors from India to put the UK at the top of the list as their must-visit destination through its ‘Find Your GREAT Britain, I Travel For…’ digital campaign launched earlier this year. The countries that have seen the greatest growth in flight bookings from travellers in the Kingdom of Saudi Arabia (KSA) in the last 12 months are Egypt, the United Arab Emirates (UAE) and Turkey, according to analysis conducted by Travelport. From April 1, 2017 to March 31, 2018, bookings made in the KSA through all global distribution systems (GDS) to Egypt increased by nearly 190,000, up 17 per cent on the previous 12 months. 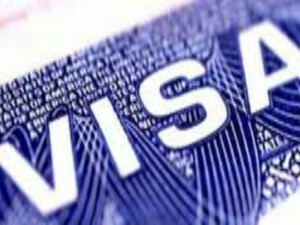 Bookings to the UAE rose by over 70,000, up 13 per cent, and to Turkey by just over 65,000, up 31 per cent. Matthew Powell, Managing Director – Middle East, Africa and South Asia, Travelport said, “Growth in flight bookings tends to be driven by increased airline capacity, rises in demand from leisure travellers, economic and political advances, which attract more interest in trade and investment, and major construction projects that require large international labour forces. 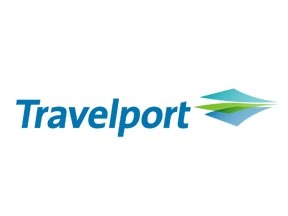 The results we’re seeing here cut across all of these.” Travelport will participate in the Arabian Travel Market in Dubai for the 10th consecutive year. Its stand will include demo pods that allow visitors to experience how the company helps travel agents and airlines drive revenue by delivering intelligence through analytics tools like Travelport Business Insights and Travelport Competitive Insights. 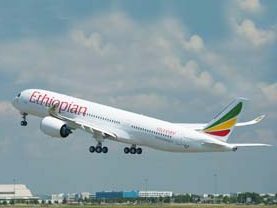 Ethiopian Airlines has announced that it will launch Africa’s first Ethiopian Airbus A350 -900 XWB on the Addis Ababa-Mumbai route during the month of April 2017. Passengers on Ethiopian’s twice daily non-stop services between Mumbai to Addis Ababa, will be able to enjoy the extra features of this latest flying machine: amazing cabin interior features with the latest high-definition touch screen, personal monitors with a higher selection of movies, wider seats and windows, the lowest twin engine noise level, advanced air conditioning technology, full LED mood lighting, which enhance comfort and reduce jet-lag after a long flight are few to mention. Tadesse Tilahun, Regional Director, Indian Sub-continent, remarked, “The A350 is a game changing fleet that has proven exceptional levels of luxury and reliability for a totally unique passenger experience. We are glad to be the first airline to serve our Indian customers with this latest aircraft from Mumbai. Currently, we are operating 28 weekly passenger flights to India’s major cities, Mumbai and Delhi. 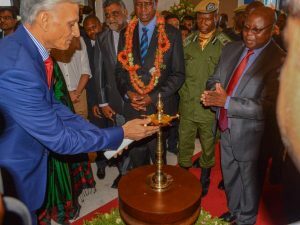 Moreover, to further strengthen the growing trade and commercial ties between the booming economies of India and Africa at large, we have started weekly freighter operation to Ahmedabad, our fifth cargo destination in India, since March 28. ” It is to be recalled that Ethiopian has been the first in Africa to own and operate the A350 in African skies. Among a total of 14 orders, Ethiopian currently has three of them in operation.